2 luty 2019 roku był dniem gdy uroczyście oddaliśmy do użytku naszą najnowszą inwestycję. 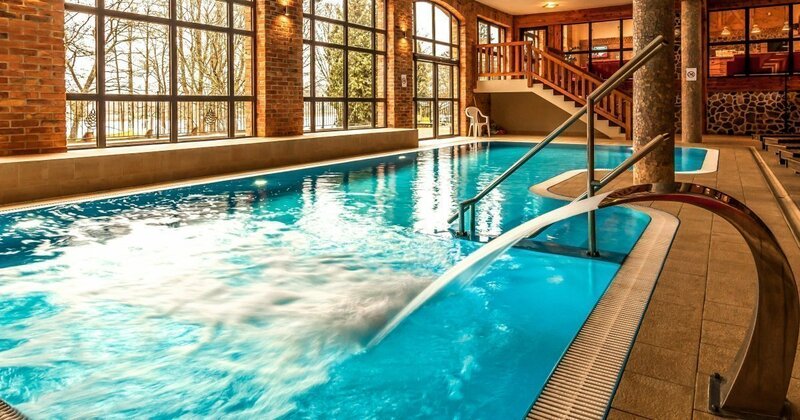 Zalesie Mazury Active SPA Najlepsze z Najlepszych! Zalesie Mazury w pierwszej trójce Najlepszych Rodzinnych Hoteli SPA w Polsce! W ZALESIU TRWA CAŁY TYDZIEŃ! The MOTHER’S DAY IS COMING, and we have a gift for you, you see! Celebrate the Women’s Day in the Zalesie SPA from 5.03 until 25.03 – from Monday until Thursday! Thank you for the beautiful Christmas you shared with us! IV MARATHON FOR LITTLE CANCER PATIENTS"
Photo-report from the marathon which our Zalesie Mazury was the Main Sponsor of. Here’s an article about a stay at Zalesie – lots of positive impressions inside! Zalesie Mazury as a laureate of the 9th edition of the Family Friendly Hotel contest! We know the results of the 9th edition of the FFH contest already! The Dziecko Najlepsza Inwestycja Magazine dedicted as many as two pages of their periodical to us! LAST MINUTE DISCOUNT -15% on summer package bookings in the last week of summer holidays, i.e. 26.08-2.09. Don’t forget to vote for ZALESIE MAZURY ACTIVE SPA in this year’s edition of the FAMILY FRIENDLY HOTEL contest. We would rejoice greatly if you could vote for Zalesie Mazury Active Spa in the Spa Prestige Awards 2017! One of the attractions offered in the package Family Winter Holidays in Masuria are the SPA workshops for kids. SPA Prestige Awards 2017 - Zalesie Mazury in the second stage! Our SPA wants to offer you something quite extraordinary, have a look! Don’t forget to follow our profile on Facebook! Yesterday, on our Facebook profile, we announced a special contest for:THE MOST INTERESTING AND ORIGINAL ECO-TOY. If you don’t know us yet, you can read more about our offer now! We present you with a film about the beauty of the Orzyc Lake and its surroundings! This time, we’ll show you a film about the Nordic Walking strolls taking place in our resort. Watch and enjoy! SPA Prestige Awards – Award for Zalesie! The last free rooms within the time period 24.06 - 15.07 2017 for the package Family Holidays with children in Masuria! Successful company stays are a long-term tradition in Zalesie. We are amongst the best rated hotel facilities gathered on one of the most popular touism portal in the world!